SAIL provides hands-on educational activities for surgeons, anesthesiologists, fellows, residents, medical students, and surgical teams using simulation-based tools. SAIL serves many uses for medical students, faculty and house staff: skill maintenance, team training, fellowship opportunities and much more. A vital, 24-hour, 7-day a week teaching and research laboratory, SAIL is managed by the Departments of Surgery, Anesthesiology and Radiology. We offer the most advanced, state-of-the-art technology available in the field of operating room and surgical simulation, with the capability to create nearly any healthcare scenario. 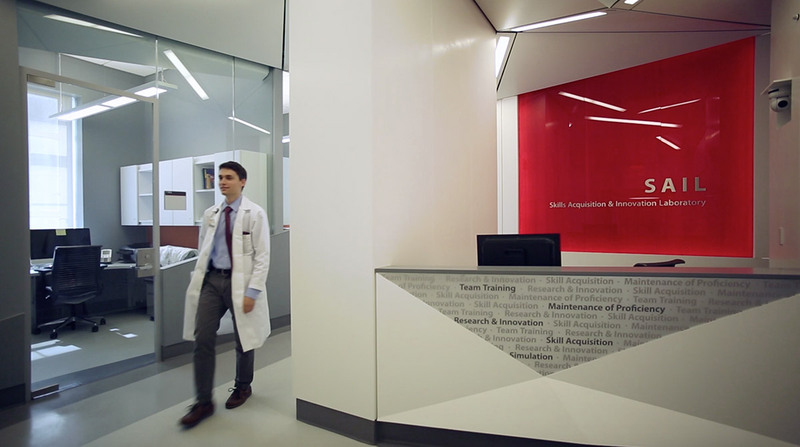 All of SAIL's Programs are led by nationally recognized faculty from the Departments of Surgery, Anesthesiology and Radiology at Weill Cornell Medicine. SAIL offers a unique opportunity for participants to gain hands-on experience. Through a realistic simulation, residents will become more comfortable with every aspect of a surgery- from handling unexpected problems as they arise to simply talking to the patient. Get in touch with us today to schedule an appointment or call us for any questions you may have.